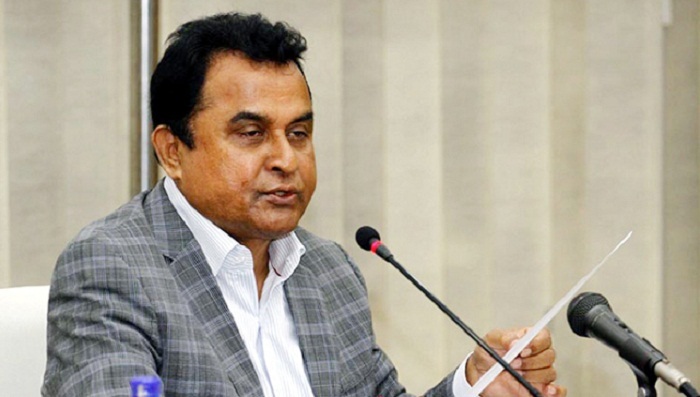 Planning Minister AHM Mostafa Kamal on Tuesday said no power can stop the country from attaining 10 percent growth after the implementation of the mega projects. The minister also said that the targeted growth will be attained by 2028-29, BSS reports. Planning minister told this while speaking at the Annual Performance Agreement (APA) signing programme in the capital. “No power can stop the country from attaining 10 percent growth after the implementation of the mega projects. We will be able to attain this growth target by 2028-29,” Kamal told. He said the country will be able to achieve eight percent growth by 2020 and it needs to maintain this growth momentum for the next three fiscal years. He urged all to work together for maintaining the country’s economic progress. The APA was signed between the planning ministry and all entities of the Planning Commission (PC), said a media release. The planning minister urged the officials concerned to speed up implementation of all projects, saying that line ministries need to work with responsibility in this regard. If the line ministries fail to perform, the planning ministry faces the problem, he added. Referring to the APA, Kamal said it is not merely an agreement or a formality. He asked the officials concerned to come out from the traditional practice and work sincerely for timely implementation of development projects. Education and revenue sectors will undergo a massive reform in future, he said and added that the revenue collection system will be reformed to bring more people under tax net and lower the rate of tax to reduce pressure on taxpayers. “Tax-revenue ratio will be taken to 15 percent by reducing the tax rate,” he added. Planning secretary Md Ziaul Islam moderated the programme while general economic division member of the Planning Commission (Senior Secretary) Dr Shamsul Alam, PC members (secretary) A N Samsuddin Azad Chowdhury, Shamima Nargis, Juena Aziz and Statistics and Information Management Department secretary Sourendra Nath Chakraborty, among others, spoke on the occasion.